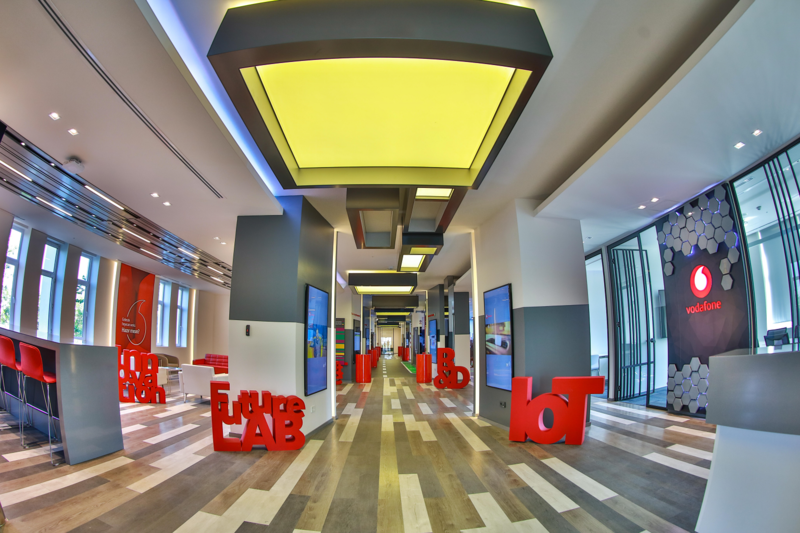 İTÜ Vodafone Future Lab was set up in partnership between Istanbul Technical University (ITU), the first technical university in Turkey with 245 years of history, and Vodafone Turkey. ITU is the epitome of science & technology. The aim here is to enable Vodafone Turkey’s potential customers to experience innovative technologies and present them with solutions that will increase their businesses’ productivity. In addition, we pursue our R&D activities with project groups formed by graduate students of Informatics Institute, ITU, and continue to develop new technologies. Based on the R&D vision of Vodafone Turkey and the thesis of ITU students, 7 graduate and 1 undergraduate projects are being conducted by 8 MSc, 8 PhD and 4 BSc students, respectively, and funded in accordance with the common requests risen jointly by Vodafone Turkey and ITU in the education year 2018-2019. Dr. Basaran is responsible for managing the lab including providing collaboration between the university and Vodafone, tracking the KPIs of the research projects as a technical coordinator.